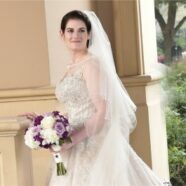 I first found out about the wedding dress designer, Justin Alexander through Facebook ads. The more I researched him, the more I wanted to wear one of his gowns. Ilyse looks stunning in Justin Alexander wedding dress. Wedding dress preservation will keep her gown beautiful for years. My style has always been classic elegance with a 1950-60’s theme. 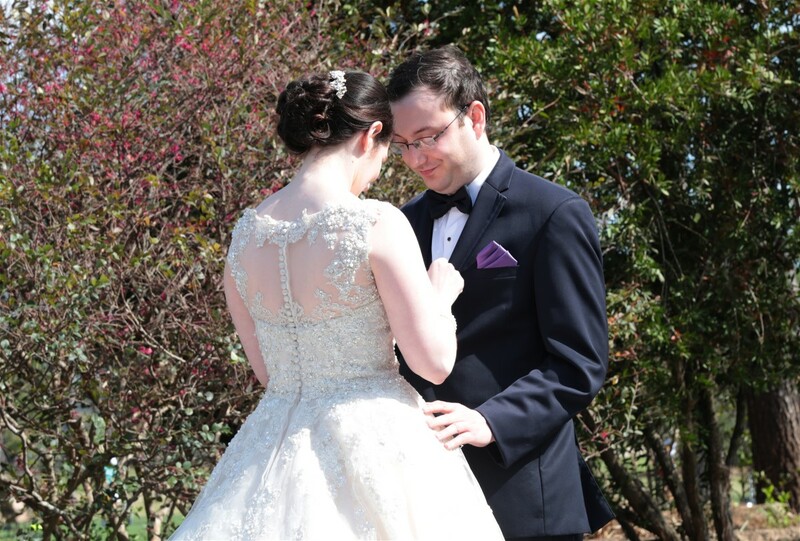 We originally found the dress that I eventually purchased several sizes larger at a bridal store and had written it off. At our next stop, my mom found the dress in my size on a mannequin. It fit like a glove on my petite body. After trying close to fifty dresses at four stores, I knew this was the one. We actually ordered the dress from Ventura’s Bridal Fashions. It was altered by Widad’s Couture Alterations. Widad made the dress fit me to a tee for my petite height. The drop waist made me look thinner than I was at the time. 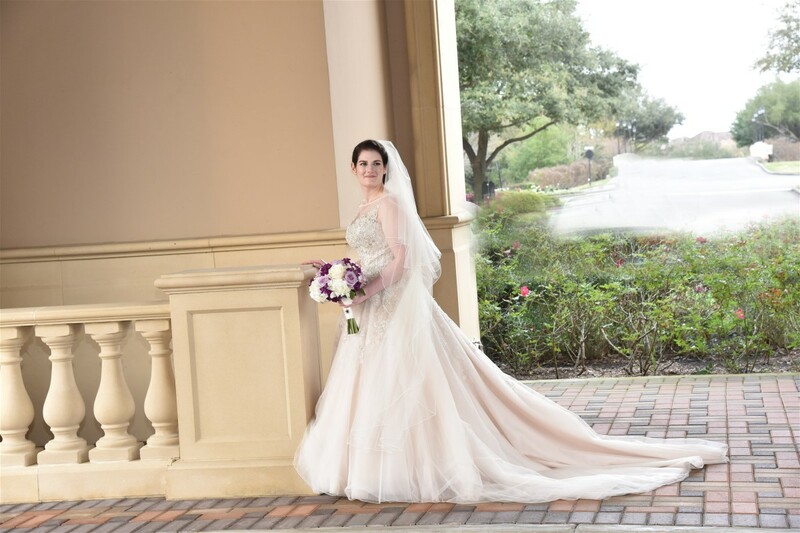 I wore the dress at my wedding, for my groom, Jay Gordon, at Royal Oaks Country Club in Houston, Texas on February 19, 2017. People said I glowed the entire evening and looked like a princess. 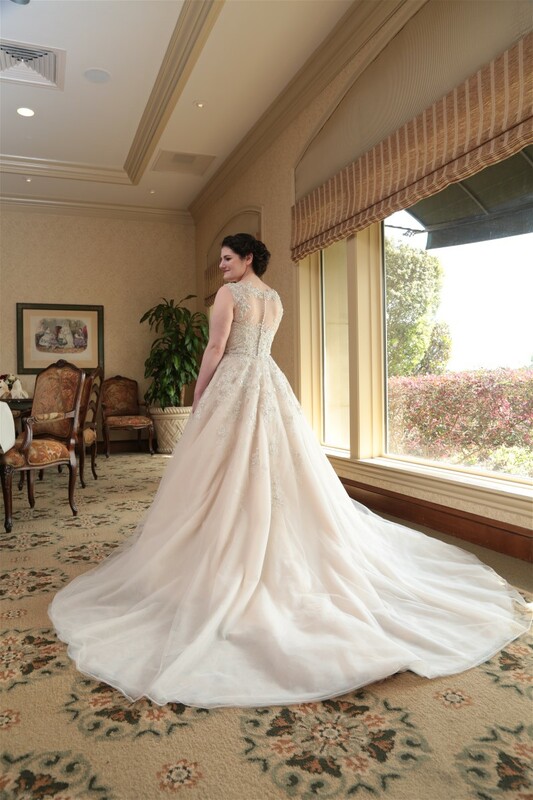 We love the elegance of Ilyse’s classic Justin Alexander wedding dress. It is made of satin and tulle with lace and beaded embellishments. When we received her gown for wedding dress preservation, it was in fairly good condition. It did have a mildly dirty hemline and the bodice was also mildly dirty. There were several loose beads and a large tear in the seventh layer of tulle. There was also small hole in the tulle near the zipper. Our team of experts got right to work. We were able to clean Ilyse’s dress to perfection. We secured the loose beads, repaired a tear in the tulle layers and a small hole near the zipper. 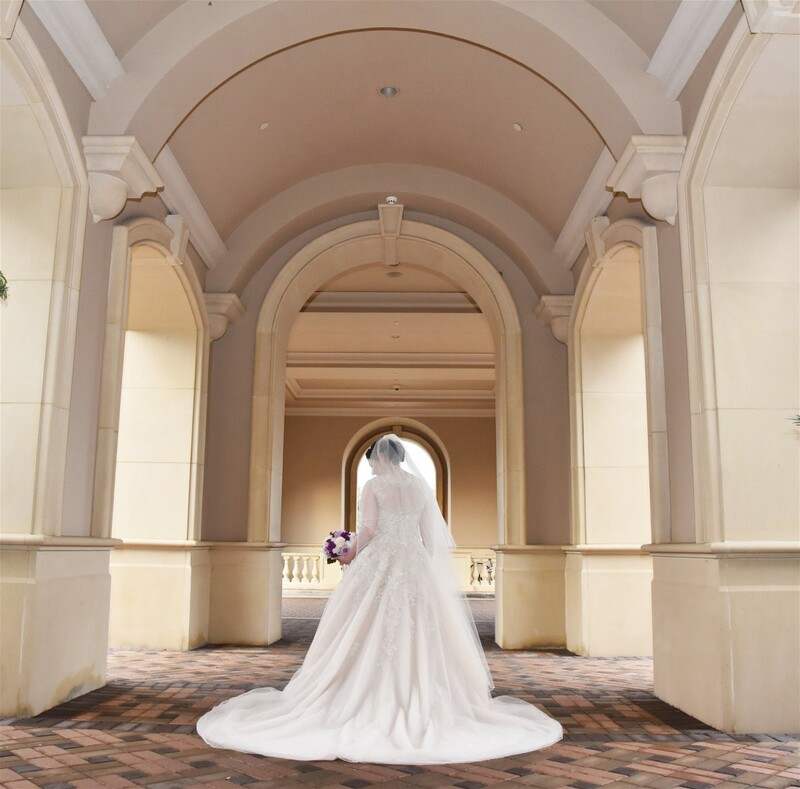 After expert wedding dress cleaning and repairs, we preserved it with Museum Method ™ wedding dress preservation. It is now ready for a new generation to admire and even wear again. Get a Free Quote for your expert wedding dress preservation today.